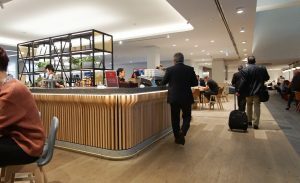 You can follow the discussion on Westpac Airpoints World Mastercard – enjoy lounge benefits and high Airpoints dollar earn rate without having to leave a comment. Cool, huh? Just enter your email address in the form here below and you’re all set. Melbourne’s Qantas Club is the go-to lounge for many of Qantas’ frequent flyers and lounge members plus their guests.